Apple came into the smart speaker market quite late doesn't mean that it is the 2018's best smart speaker beating all other speakers in the market. It is quite certain that this HomePod from Apple has made some noise and people have really thought of buying one such gadget assistant for their home. But when pondering through the options, you tend to get really confused as there are a lot of alternatives as well as competitors to the Apple's HomePod. So today I will try my best to clear your confusion and will help you find the better alternative to go for if you've already gone through the Apple HomePod Review. It has only been a month since Apple has released its first-ever smart speaker on the market, the Apple HomePod. As mentioned in my old review, although it does delivers spectacular audio quality and comes with Future-level technologies built-in, there are a lot of flaws and cons for the HomePod including the limited input, music streaming services etc. And if you're really disappointed by these flaws, then your better option is to either cross your fingers and wait till the company sorts out the problems or do like what others are doing; go for a better HomePod alternative that delivers you all the features that are missing from the Apple smart speaker. So without wasting more time, let's go through the best smart speakers out there other than Apple HomePod. When talking about smart speakers, we cannot slide away Google's Home Max. It must be the top pick for you if you're looking for a smart speaker under $400. However, if you are someone outside the US, then this product is just not meant for you, as it is currently available only in US markets. Built wise Home Max is not a compact product as its dimensions more resemble that of a big radio and weighs around 12 pounds. Whereas the HomePod is just nearly half the size of this. However, the extra giant size does deliver added features as space has been divided between the tech-components inside the gadget which all together help in delivering entertainment in max. Under the hood, there are two 4.5-inch woofers along with two 0.75-inch tweeters. These dual woofers provide deep and balanced bass and the crystal clear highs are produced by those dual 0.75-inch tweeters. Class D amplifiers and 6 far-field microphones are delivered inside the system. The inside components are separated from the outside world within a rigid housing which is, in turn, is covered with an acoustically transparent fabric. While moving towards the outside, we can find USB-C port along with a 3.5mm jack and a switch to mute microphones. 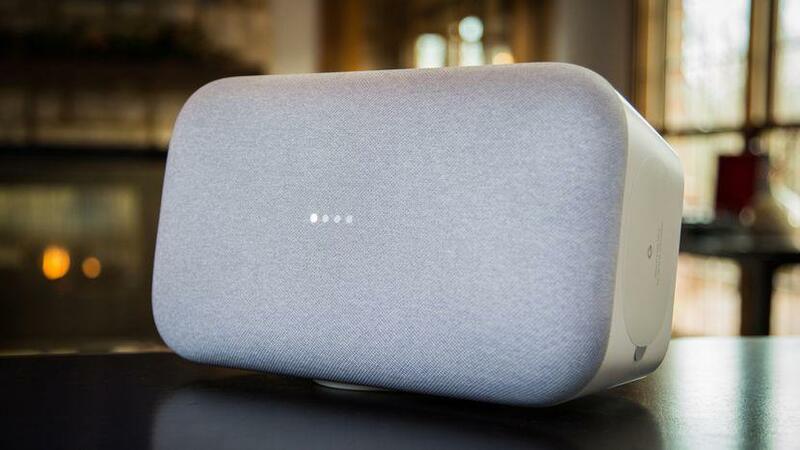 With smart sound, better voice assistant, more connectivity options, more music streaming services, various smart controlling options etc., no doubt that the Google Home Max is the number one Apple HomePod alternative. The second best Apple HomePod alternative is the Link 300 from JBL. This is a much better option for you if you're looking for the best smart speaker under $250. The JBL Link 300 has a built-in Google Assistant with which you can enjoy hands-free voice control over various compatible services. No matter if you are an Android or iOS user, this JBL system is simple to setup with your Google Home app on your iOS or Android. Built wise, the device is more compact than Google's Home Max. Being compact it does not sacrifice sound quality, rather it delivers an incredible room-filling sound with the help of JBL transducers inside it. 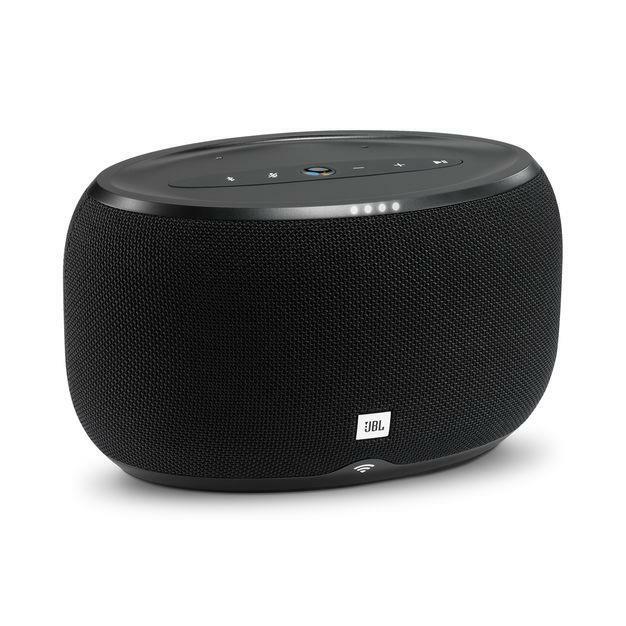 The JBL Link 300 also has a built-in Chromecast which lets you stream various supported contents directly from your device and there is even an option for you to stream directly from the cloud. Other salient features of this device also include the high-quality sound of 24 bit/96 kHz, multi-room playback across other speakers, Wi-Fi connectivity, wireless Bluetooth streaming etc. 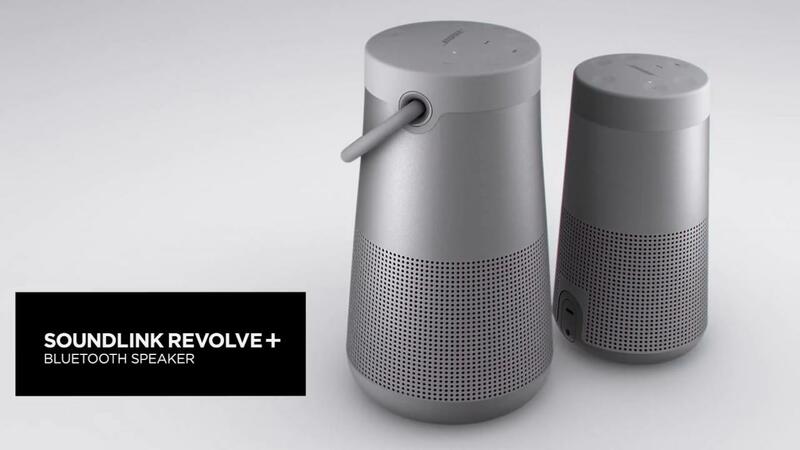 If you aren't satisfied with the JBL Link 300, then another better HomePod alternative to go for is the Bose Soundlink Revolve+. This 360-degree speaker is equipped with sound components that will give you deep and quality sound in every direction. The flexible handle at top of the device clearly mentions that the product is completely compatible and you can enjoy your music on the go wherever you want. Stripping down the mesh in front will reveal a stiff housing inside which various components are placed in order to deliver that high-quality sound. It houses dual-passive radiators on top which is the component reason for delivering high-quality sound output by eliminating wasteful vibration and turning it into an acoustic output. Down under it, there is a down-facing transducer which delivers 360-degree sound by working with an acoustic deflector placed at the very bottom. The omnidirectional acoustic deflector helps in spreading out sound evenly without leaving any dead zone. One among the top feature that made this device to stand out from other smart speakers is the water-resistant ability. With IPX4 rating, you need not worry about Soundlink Revolve Plus getting an accidental splashing or showering of water. At $199, being a smart speaker Sonos One has a lot to offer which makes it yet another cheap Apple HomePod alternative. This built-in Alexa voice control smart speaker delivers an incredible sound output although being a compact. There are various hands-free services that you can enjoy with this device includes, checking out news, traffics, controlling your smart home with just your voice, playing your favorite tracks and much more. Apart from controlling your Sonos One with voice, there's also touch controls to turn up or down the volume, muting button, skipping the track through swipe etc. Also, you can control the device remotely with a dedicated mobile app. 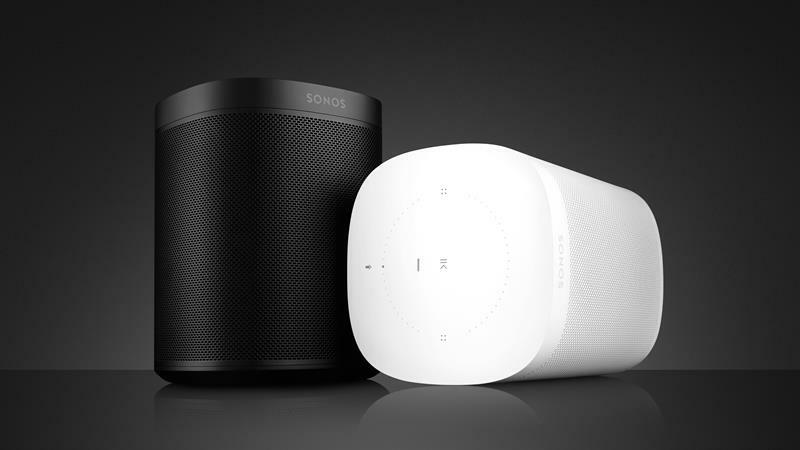 This device can also deliver a multi-room playback by connecting with other Sonos smart speakers and enjoy room-filling sound throughout your home. The cheapest among this list is the Echo Plus from Amazon. Although it is the cheapest smart speaker in this list, the features delivered in it make it powerful enough to be the cheapest Apple HomePod alternative. So with this small cylindrical device, you can make your smart home completely hands-free. For delivering high-quality audio output, the Echo Plus delivers a 2.5-inch woofer that fires the bass necessary for you to enjoy the beat. Also, the device houses a 0.8-inch tweeter that is powered by Dolby, this shows how crystal clear the sounds are delivered. 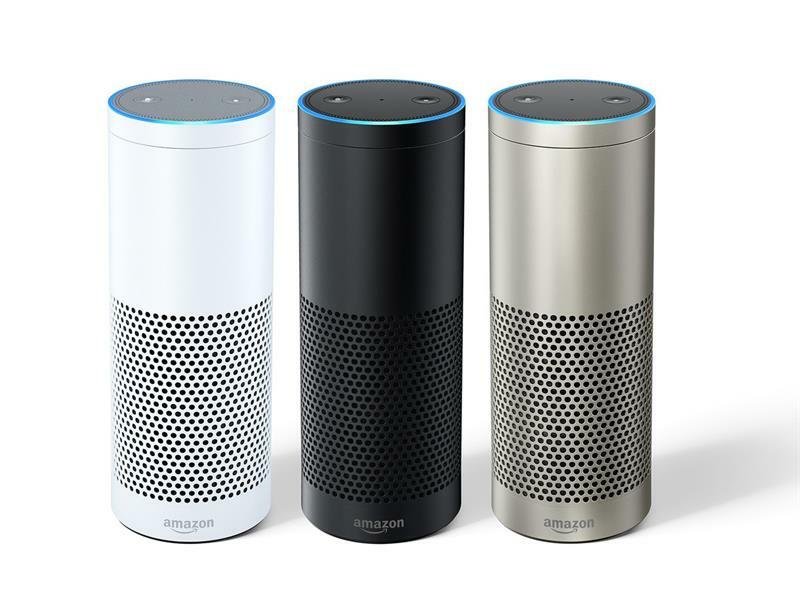 You can also enjoy the multi-room music if you already own an echo-compatible device across the house. Unlike Apple's HomePod, this cheapest smart speaker allows you to stream music from a dozen of streaming services. Far-field voice recognition is also a thing of this Echo Plus. So there it is! You have got the list of top 5 best Apple HomePod alternatives. These are the best smart speakers that are currently available in the markets which can deliver all or even more features than what HomePod delivers. So if you thought of buying yourself a HomePod, then this is the time you need to be rethinking. Neither the brands nor the features mentioned in above lists are cheap. So there's no reason for you to reject any of these smart speakers when comparing with Apple HomePod.